Get freetobook's low cost Channel Manager and connect to the world's biggest travel sites. 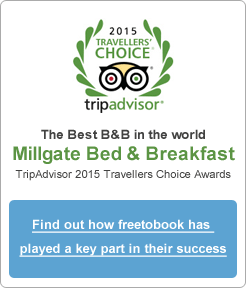 TripConnect enables you to receive direct bookings on your TripAdvisor page through the freetobook booking engine. 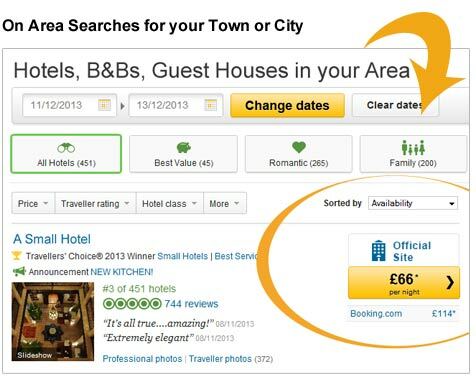 Make the most of your TripAdvisor page and generate direct bookings. What do I need for TripConnect to work ? As a TripConnect premium partner you know you can rely on us. Most booking engines charge extra for a TripConnect connection, not us, it's free with freetobook. in two ways... two videos. TripConnect now offers two different ways to get direct bookings. In both models your direct bookings come into your freetobook online account. The main difference is in how TripAdvisor charge for the service and also where the booking takes place. 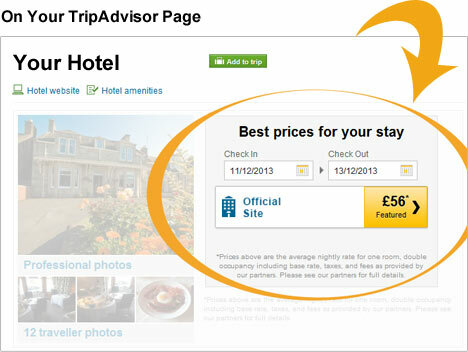 Your rates and availability will show on TripAdvisor with a link to make the booking "Official site". If you do not have availability then your prices will not show. Each time a customer finds you available and clicks to make a booking you will be charged for that click. You can setup this service in your TripAdvisor account where you will also find the click prices. With instant booking your rates and availability will show on TripAdvisor. The customer can then complete the booking on the TripAdvisor website. You do not pay for clicks, instead you pay for each booking after the guest has stayed. Instant booking charges for completed stays at either 12% or 15% of the booking value. You will need to setup TripConnect cost per click in your TripAdvisor account where you will find the price of each click (price is set by TripAdvisor and varies by property). Once it is setup you get direct bookings at zero commission and pay for the clicks each time a customer clicks through from your available rates. What are the benefits for my Property? Customers on your TripAdvisor page can easily search your rates and then book you direct. 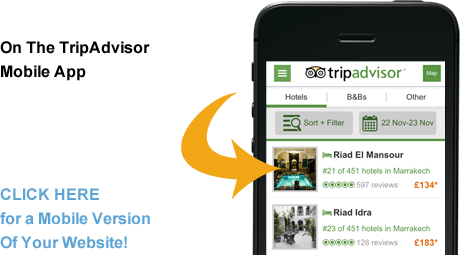 TripConnect shows your rates on your property page, the TripAdvisor App and in area searches. All bookings from TripConnect are made on your booking engine so they're commission free. Freetobook's connection to TripConnect is free - helping you maximise direct bookings. Simple to set-up, with return on investment data (ROI) Full control to switch it on/off, set daily limits etc. The more places you are bookable the more bookings you will get... all feeding your website's booking engine.